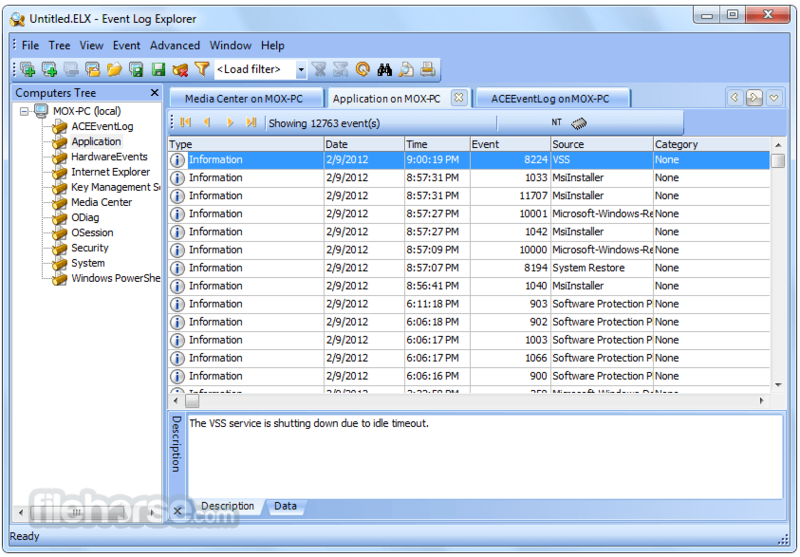 Event Log Explorer is an effective software solution for viewing, monitoring and analyzing events recorded in Security, System, Application and other logs of Microsoft Windows operating systems. 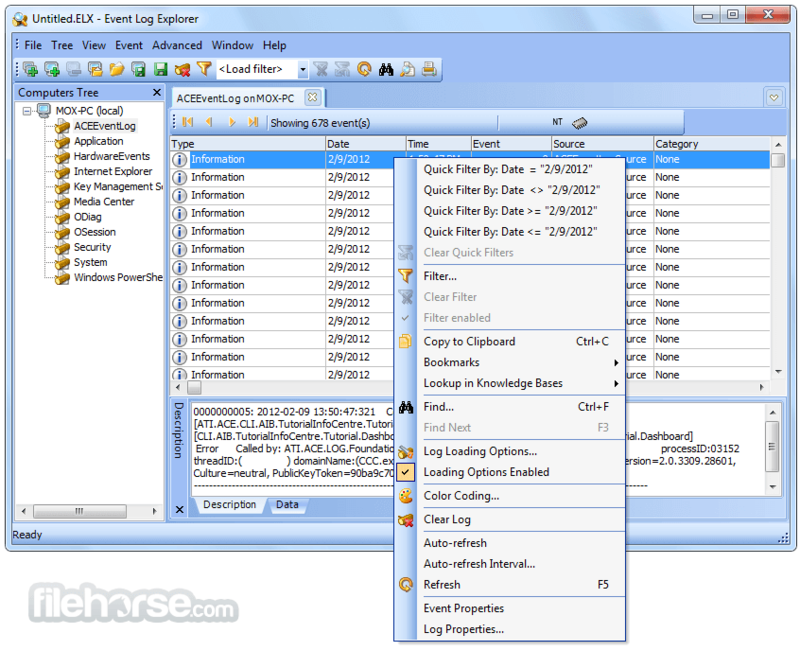 Event Log Explorer greatly extends standard Windows Event Viewer monitoring functionality and brings many new features. It is impossible to find a system administrator, security specialist, or forensic examiner for whom the problem of Windows event log analysis has never been acute. To keep your network safe and sound you have to constantly trace valid and invalid logon attempts, events related to resource use, such as creating, opening, or deleting of files, etc. This process of monitoring Windows event logs has always devoured a lot of time. 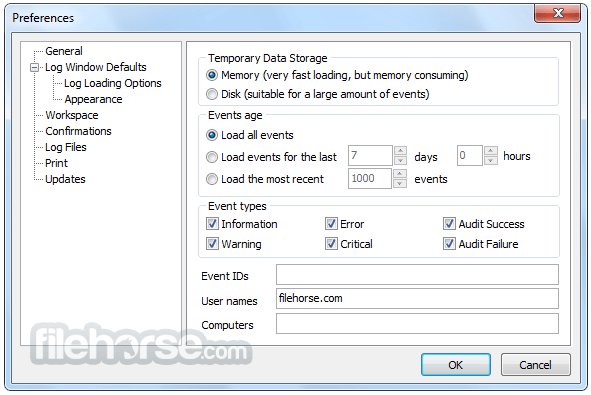 Event Log Explorer helps you to quickly browse, find and report on problems, security warnings and all other events that are generated within Windows. Thanks to Event Log Explorer, monitoring and analysis of events recorded in Security, System, Application, Directory Service, DNS, and other logs of Microsoft Windows operating systems gets much faster and really effective. 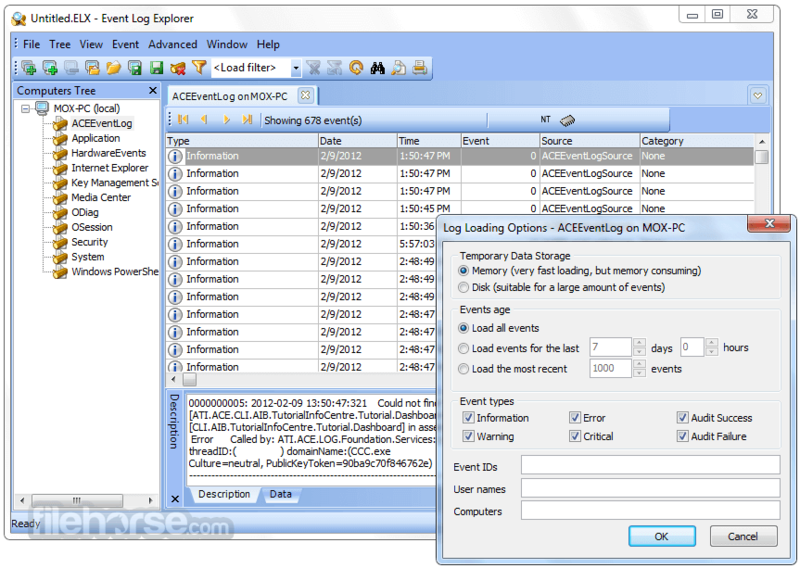 Event Log Explorer provides powerful event search and filtering engine. You can easily filter events in the list by any criteria. Every filter can be saved into file - this saves your time when you want to re-apply the filter in future.